None of the denizens of Coldharbour can actually "die"—all of them, Daedra and Soul Shriven, merely discorporate until they can form new bodies. 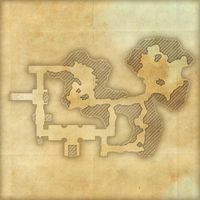 Why, then, are there so many tombs and graveyards? Because Coldharbour is Molag Bal's plane, and he likes them. 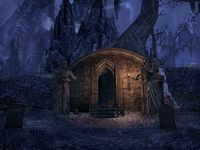 Mal Sorra's Tomb is a Dunmer tomb in central Coldharbour, southwest of the Orchard containing undead. Mal Sorra and the ghost assisting it in combat can be found in the northeast chamber. This page was last modified on 3 February 2019, at 09:12.